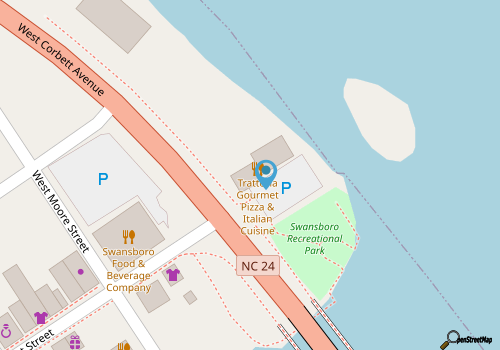 The small town of Swansboro is surrounded by wide, calm waters, which makes it a perfect destination for tackling a new kayak, paddle boarding, or boating adventure through Swansboro Paddle Boarding. Conveniently located on the very edge of the waterfront downtown area, and close to a number of favorite on-the-water destinations including the Intracoastal Waterway and the Hammocks Beach State Park, this one-stop-shop for water sports fans has everything novices and experts alike will need to truly explore the water. There are a wide range of options when it comes to on-the-water fun, starting with paddle board and kayak rentals for a self-guided exploration of the surrounding region. (Equipment is also for sale on-site, as well as fishing supplies at the on-site tackle shop.) Visitors who need a little guidance can also sign up for a paddle boarding lesson which will show riders the ropes, or can even enjoy an eco-tour that can span from 1-4 hours, and which can include the special “Boat Assisted Tours” that takes riders out of the wind, and into another world. With lots of variety of paddlers of all ages, skill levels, and interests, Swansboro Paddle Boarding will allow veritably every vacationer to explore the enchanting waterfront landscape in serene style. Call (910) 389-1471 for current hours.